S&P sued. Conspiracy or idiocy? Link: How has it taken 5 years to get to this point? The US government, after “a fallout in talks”, has notified Standard & Poors that it intends to sue them over their standardly poor (in that they were useless) ratings of CDOs and RMBSs in 2007. Which all sounds very dark and conspiracy theory. And, honestly, it requires far too much community of effort. Maybe that’s too cynical. But lackeys are inexperienced, badly paid, and there under duress. Their real motivation is fear, not greed. And fear floods you with adrenalin and all you want to do is run*. Adrenalin is the enemy of rational thought. #Fact. Which is paraphrased to: “it’s fine to be wrong if we’re all wrong together”. Oh, and also, they’re claiming that they have a first amendment right to an opinion. Can you really claim that your opinion should be free of consequence if you’re using it to your benefit? 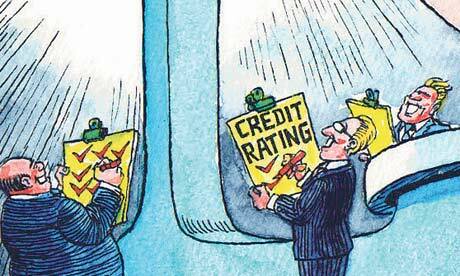 The Trouble With Credit Rating Agencies. And Naspers.